Who wouldn’t be impressed to see an old place that is transformed into a lovely and comfortable home? Well, everyone would really be happy see that especially the homeowners. It would be fulfilling on their part that they will be able to live in a home that once was a not-so-pleasing place to live in but is now a place they call their own. There had been many house renovations that were done successfully because of the brilliant ideas of the architects. 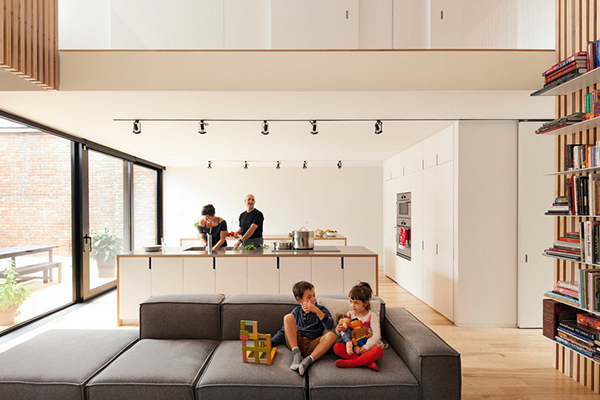 An old duplex that includes a garage was transformed into a home for a couple with two kids. 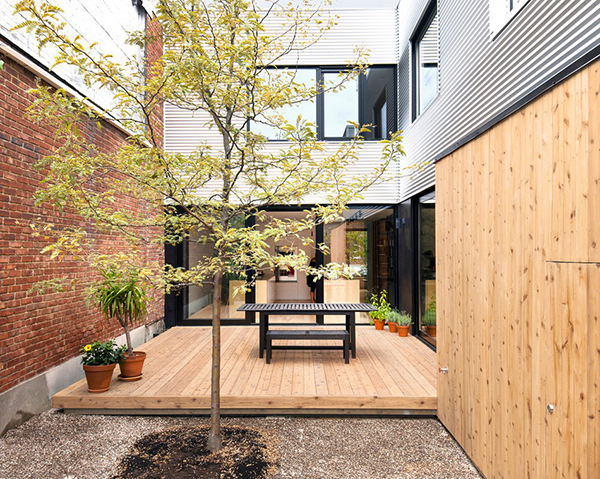 The new home had a contemporary design in the exterior and interior which greatly made use of wood. 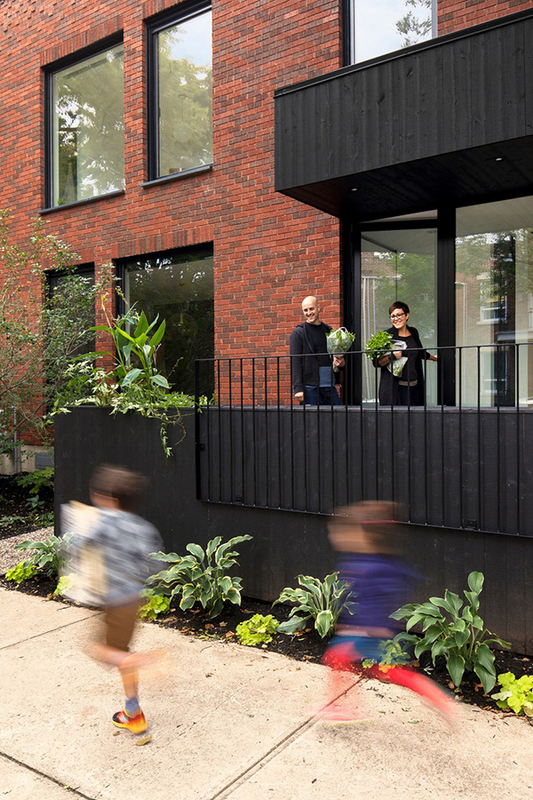 The house is located in Villeray district, Montreal and is called the De Gaspe House. You can see a cozy and comfortable interior while the exterior has that strong appeal and style. Enjoy a virtual tour of the house below. Having an outdoor space like this a good idea and is ideal for any home no matter where it is. 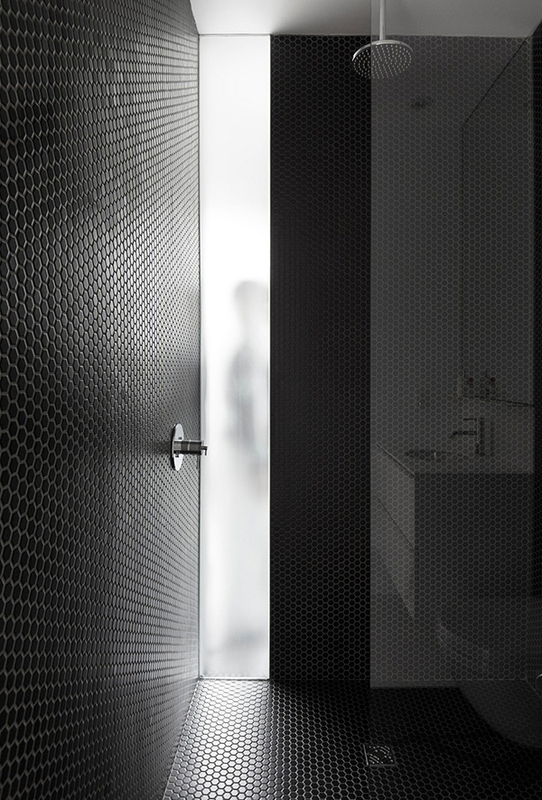 The interior has a relaxing minimalist feel with a contemporary twist. 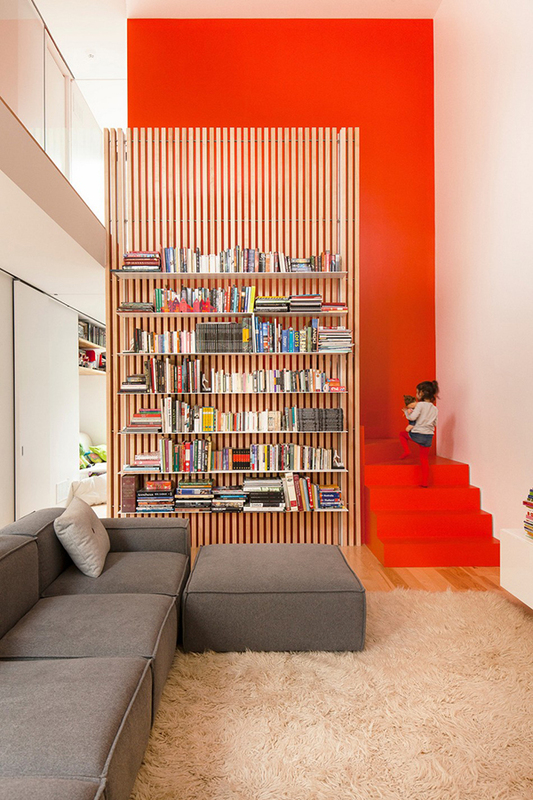 This is one feature in the interior that is beautiful and unique because of the color of the stairs that went seamlessly to the walls. 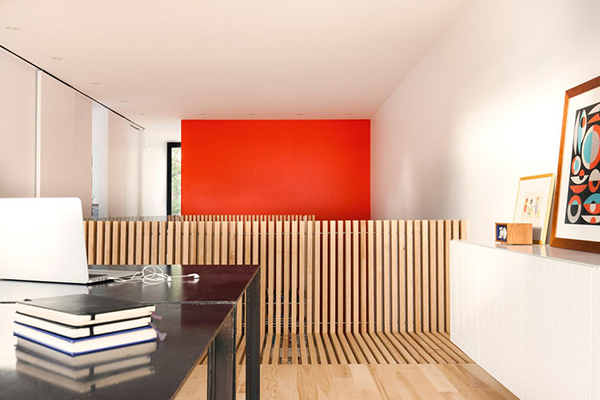 The wooden railings is a good idea too while they added a shelving in front of it. In the upper level are wooden flooring and railings that extends the look of the lower level. A dining space seems to have that private feel because of its location but it does open to the outdoor area with sliding glass doors. 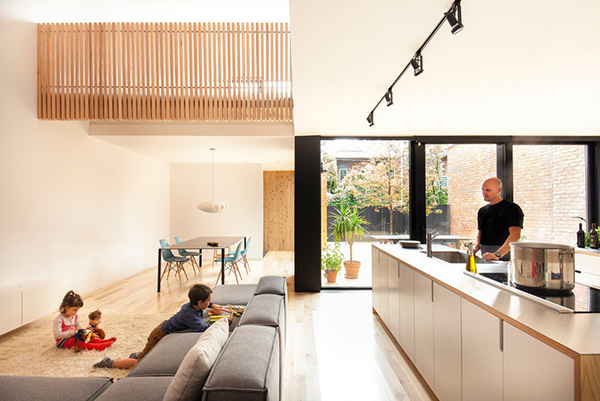 The house has an open layout that made the home more cozy. You see here the kitchen and living area that welcomes the guest to the house. Everything in the house is kid friendly just like how they created this steps that allow the children to reach higher areas when needed. I love this idea! 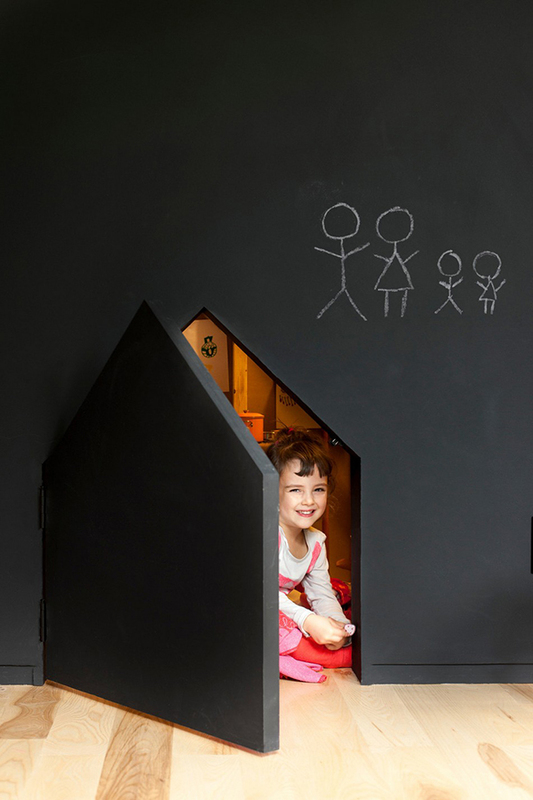 The door seems to be invisible as it is painted with blackboard paint and doubles as a canvass for the kids. 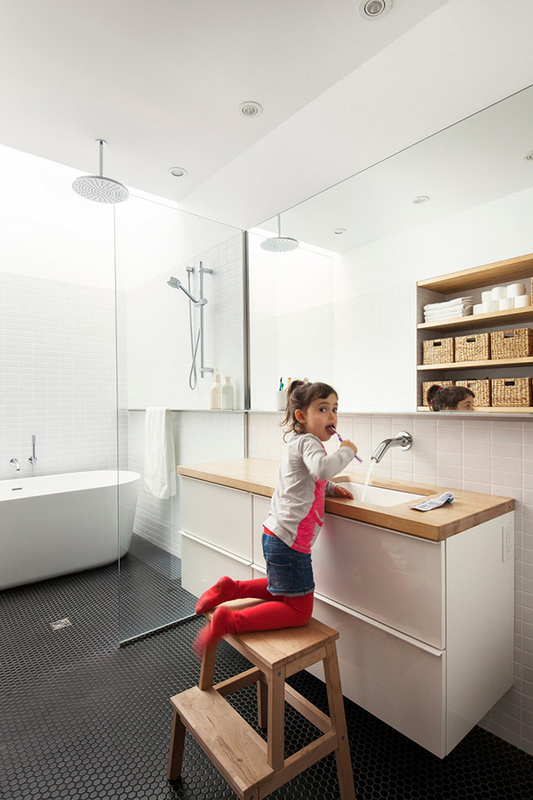 The bathroom has contrasting floor design and colors. It may be small but it does look stylish and neat. The tiles they used gave a hive feel to the area. It sure has an interesting pattern. 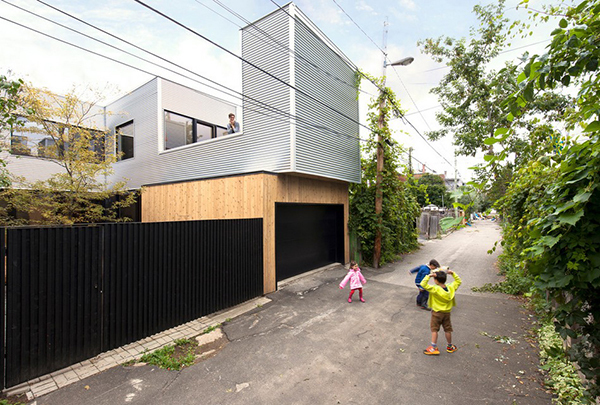 There is enough space in the exterior for the kids to play which is one thing the couple made sure of. 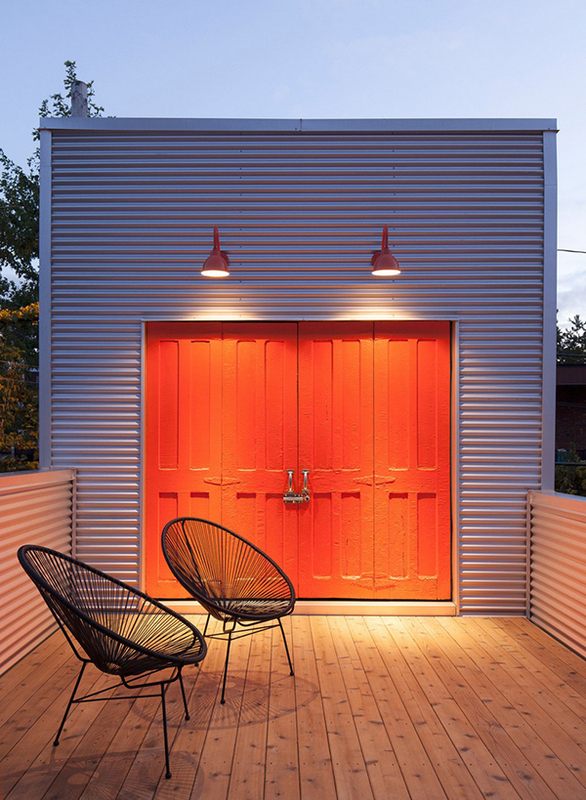 Coloring his door orange added an interesting twist to the exterior with corrugated galvanized walls. This is how the exterior looks like on one side of the house where you can find the garage. 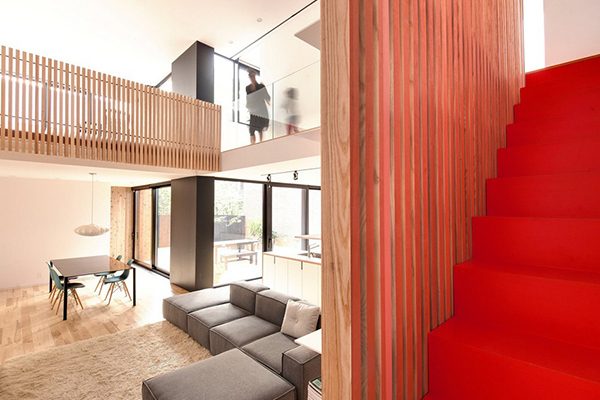 I like what they did to the stairs as well as the part where they used wood. The exterior is lovely but they seemed to blend in with the neighbors and didn’t looked intimidating. 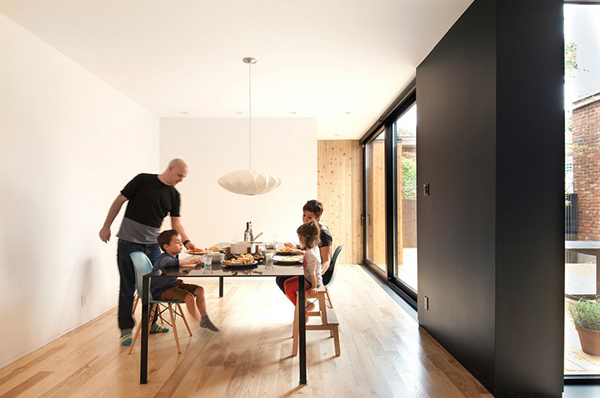 This new home is designed by la Shed Architecture and they have successfully integrated everything that the family needs.